Want to own a drone but can’t plunk down the (relatively low) $300 for the super-fun Parrot AR.Drone 2.0? Well, you’re in luck. 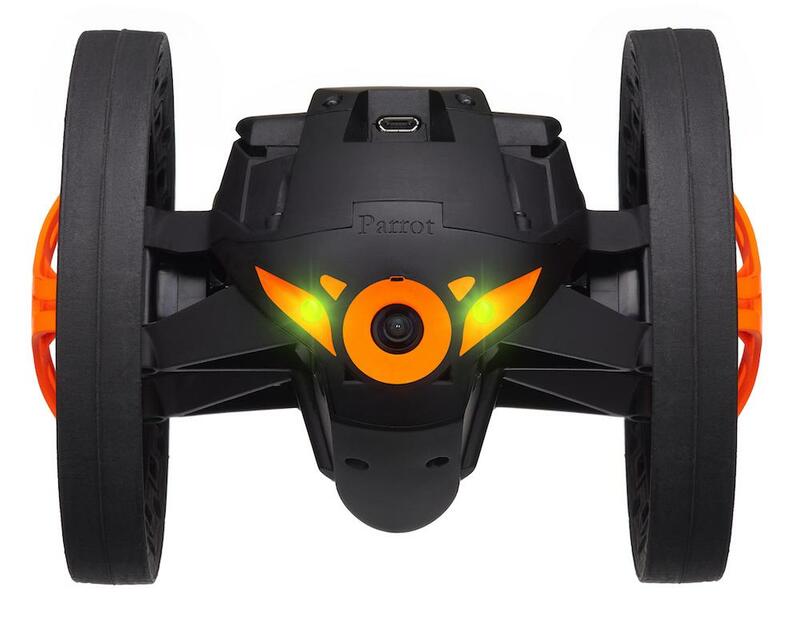 To kick off CES 2014, Parrot debuted two new ‘bots that promise drone fun without leaving your wallet feeling lighter than air. First up is the MiniDrone, which is, well, a tiny version of the robust AR.Drone 2.0. But don’t let its small size fool you. The MiniDrone packs four high-speed blades that give this puppy some big-time lift, while a slew of sensors (think accelerometer, gyroscope, downward facing camera, and more) keep it stable in the sky – even if you aren’t the most experienced drone pilot – and let it do some “high-precision acrobatics,” according to Parrot. 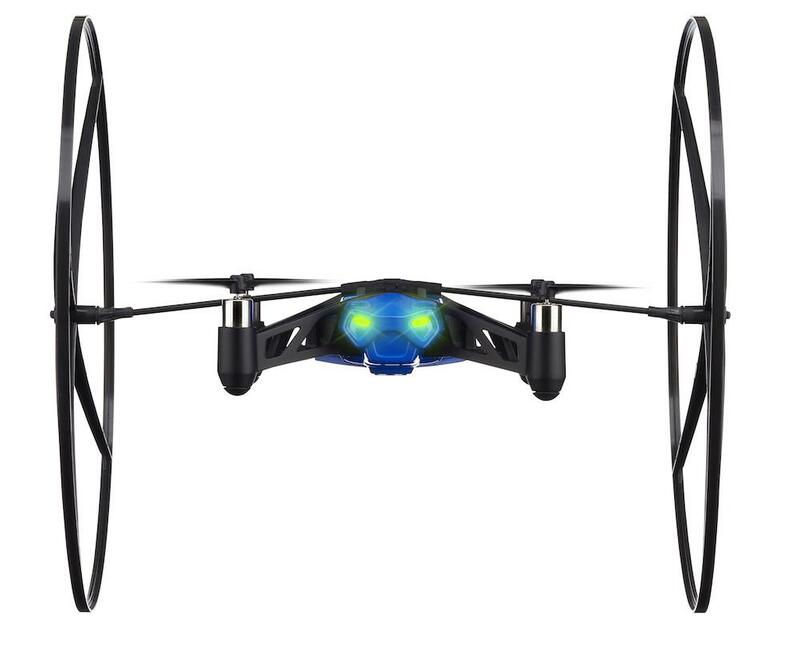 Unique to the Parrot MiniDrone is its detachable ultra-light wheels – yes, wheels – that allow it to roll around the floor, wall, or ceiling like some type of house gecko. Another cool feature: Users can detach the wheels mid-flight for less cumbersome flight, which has a maximum altitude of about 160 feet. The MiniDrone is controlled via mobile app, and attaches to your smartphone or tablet via low-power Bluetooth 4.0. Small, burly, and a master of terrain, the Jumping Sumo bot features precision ground control thanks to independently driven wheels that allow it to perform instant turns, zippy 180-degree spins, and a crazy pirouette stunt that just might blow your freakin’ mind. The Jumping Sumo is also controlled using a mobile app, and connects via Wi-Fi 2.4 or 5GHz signals.